Hey, hey, hey! A big congratulations on getting engaged. We wish you and the love of your life a super duper future together. Given you are online and studying this text, we take the preparations for your wedding have started in full swing. Which is not surprising because Indian weddings are grand and pretty elaborate. The first task for every couple in planning the wedding is to look for a venue where they want to get married. And this task is nothing but easy, which you must have also realized by now. Hence to help you out, we have compiled a list of 11 things to keep in mind while looking for wedding venues in Kolkata. The number of people you want to invite. Every wedding venue has a limit to the number of guests which it can easily accommodate. Fixing a venue according to the expected number of guests will avoid making the function chaotic. Hence sit with both the families, get an estimation of the number of wedding guests and look for the venue accordingly. The amount of money you have set aside for the wedding venue. It will not be wrong to say, for any wedding around the world, money is surely an important aspect. And you will be surprised to know, almost 30% of the entire wedding budget is spent on booking the venue. Therefore it is necessary to plan all the expenses accordingly and search for venues with realistic expectations. The type of wedding venue you want for the big day. 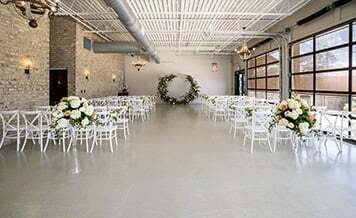 Many couples face a lot of confusion in choosing the type of venue they want to get married at. It can either be a farmhouse or an open wedding lawn or a hotel banquet. 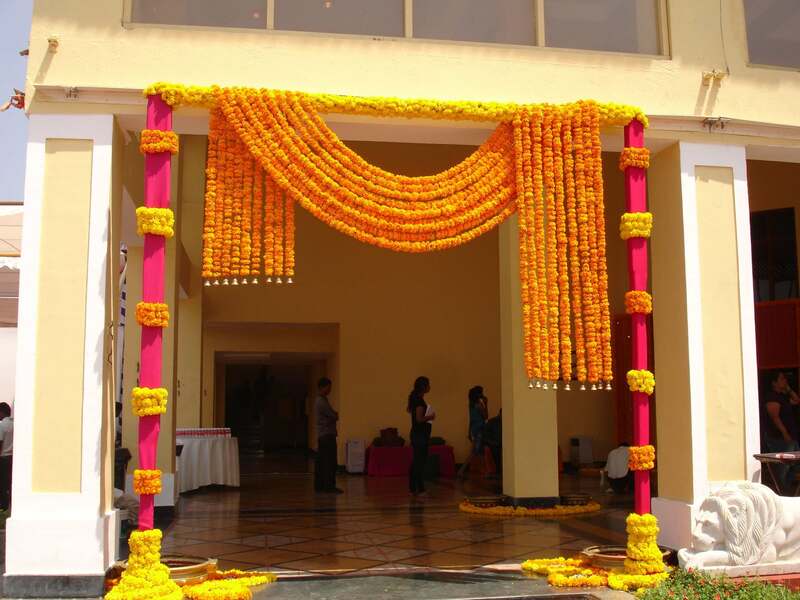 And not even that, there are many destination wedding resorts Kolkata for you to choose from. 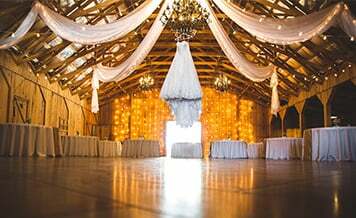 So depending upon the amount of money and the number of wedding guests, type of venue should be selected. Visit the blogs, websites etc of wedding venues. In this day and age of digital marketing, all the businesses are marking their presence online. And it can be in the form of a dedicated website or blog or Instagram, Facebook, and Pinterest accounts. So if you have finalized 3-5 venues, then we recommend searching and visiting their online profiles. Here you can find real wedding images of other couples and this will give an insight about how weddings are planned at a particular venue. Choose the wedding date. The date of the wedding has a lot of impact on aspects like money and availability. 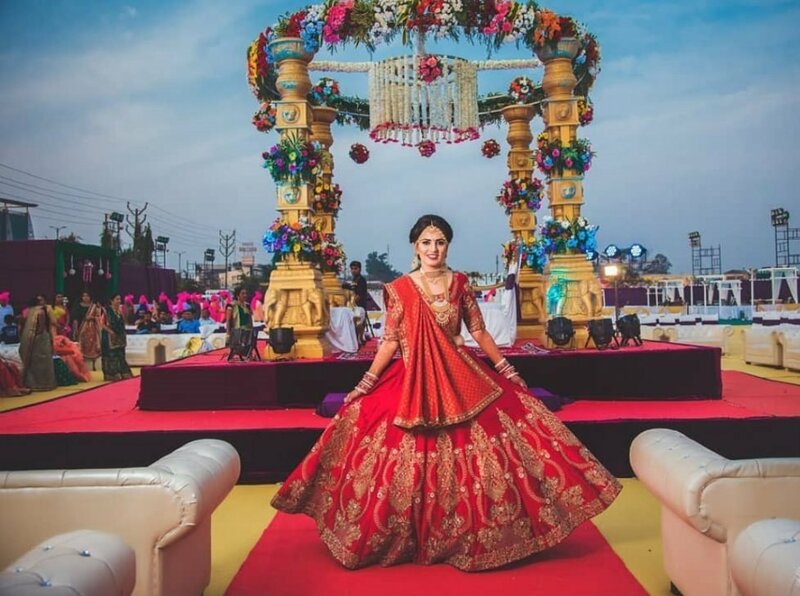 For example, if you have fixed a wedding date based on an auspicious calendar then there are high chances of many weddings taking place on the same date, and this will affect the availability of the venue. 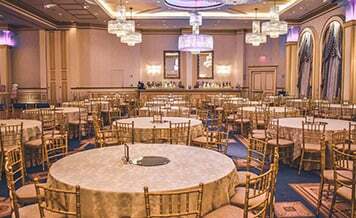 But if the wedding date is fixed during the off-season then the cost of the venue will be comparatively less and it will be easily available. Availability of the venue. 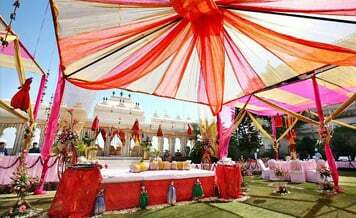 Like we said above, availability of the best wedding lawns in Kolkata will depend upon the wedding date. And instead of wasting time in visiting each venue, start your negotiations via discussion over the call by asking about the availability of the venue on the decided date. Destination weddings are gaining a lot of momentum. And because of this lot of couples are planning their weddings over weekends or long weekends, so all the family members and friends can enjoy the functions to its best. But take care, planning a destination wedding will surely have an increasing effect on the budget if not managed properly. You can also plan an intimate wedding at a vacation home. There are some couples (even if not many) who get married without their families to conquer true love. And for such couples, their friends provide much-needed support. Therefore, such weddings should be planned in vacation homes, where an only a limited number of people are there. Trust us, it will make the entire wedding day super special and memorable for both of you. Get inspired and plan your wedding based on a theme. Lavish and star-studded weddings of many celebrities have surely set super beautiful wedding goals. And now it is your time to take some inspiration and plan a wedding on similar lines. No, we are not saying to spend crores of money, rather have a wedding based on a theme, no matter how simple it is. To quote some examples it can be based on flowers or the era of the 80s or the super glam Bollywood etc. Look at multiple venues and finalize only after that. A huge mistake which many couples commit is by booking the very first venue they visit while searching for top marriage gardens in Kolkata. Yes, we understand that you have found the dream venue but still, there is nothing wrong is visiting other shortlisted options as well. 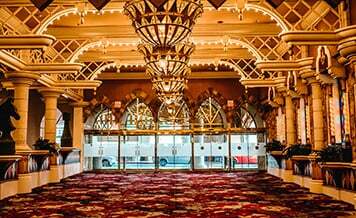 You may never know if the next venue was even more gorgeous and cheap than the one you booked. Ask for venue rules, if any. Yes, you will be surprised to know about the rules which wedding venues impose on the couples looking to get married. For example, some marriage lawns have a pre-fixed deal with tent house, light vendor and food caterers giving them an exclusive right to the venue. In that case, you have to hire only those vendors for the particular services, otherwise, to hire an outsider, you need to pay a waiver fee. Therefore before booking any venue, ask the venue owner or the management for any such rules. These were our powerful 11 pointers which will help you book only the perfect venue for the wedding. 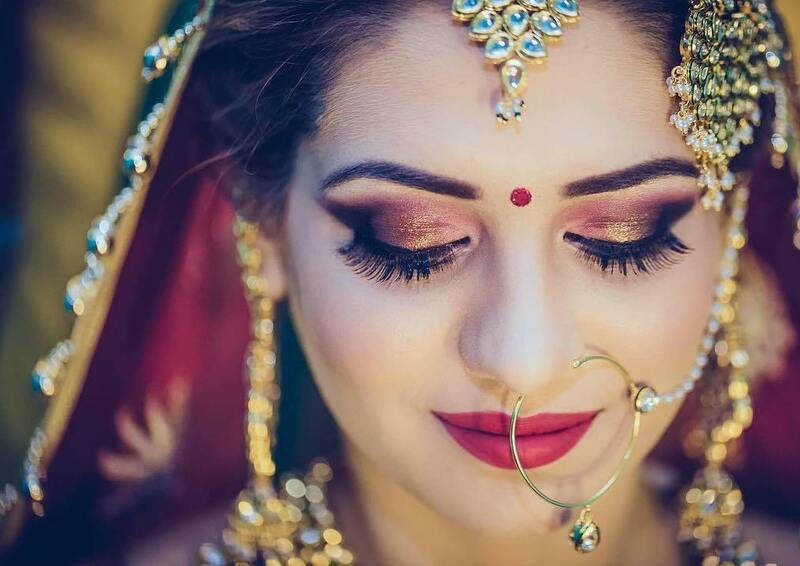 Now the next step is to start searching for different venue options available and for that Shaadidukaan.com, India’s most trusted online wedding market will help you. We have more than thousands of wedding venues like resorts, lawns, and banquets registered online. Just visit the website, choose the city as well as the vendor and a list of top venue options will be presented on the screen.